Newell Machinery, Hiawatha, IA, is one of the largest and most experienced union millwright contractors in Iowa. Newell has more than 100 years of milwrighting experience with thousands of successful projects with exceptional custom millwright products services and solutions, serving a wide variety of agricultural industries including animal food, powerhouses and boilers, food processing, industrial, chemical, precision machine setting, robotic packaging, mining and quarries, and steel mills. Since 1900, Newell Machinery has grown from providing mill supplies and wooden elevators to an industry expert and leader in millwright design, manufacturing, and service. 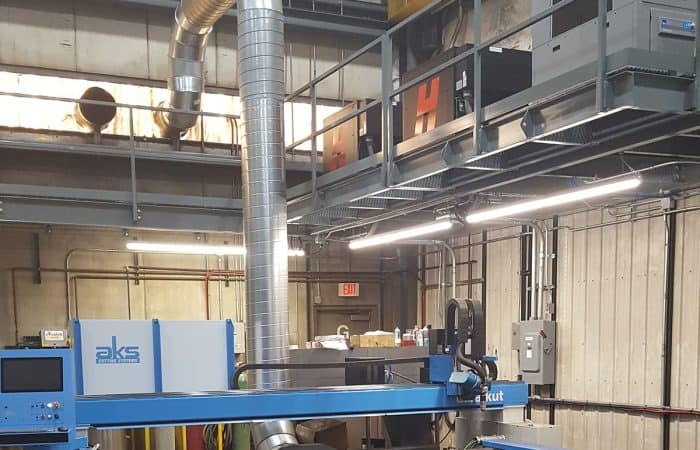 Newell also designs and builds its own products, and services and installs a wide range of specific floor and overhead conveyors. 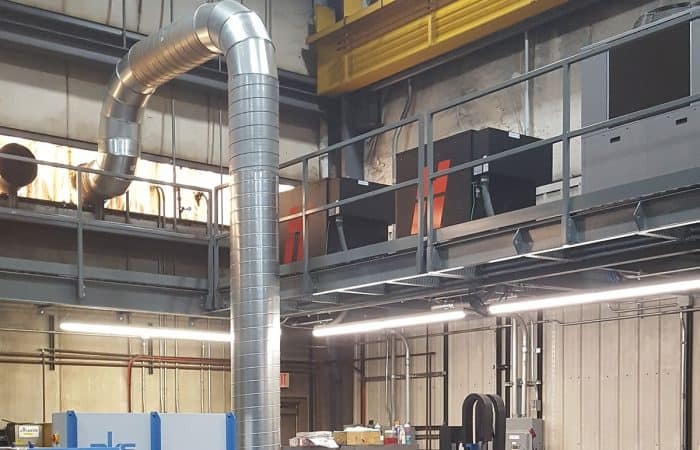 With over 40 years of experience, Newell has installed miles and miles of conveyor all over the US, including project work, preventative maintenance work, ongoing maintenance contracts and emergency breakdown service. Newell Machinery manufactures conveyors, steel bucket elevators, belt conveyors, and screw conveyors. Other products include associated platforms, staircases, ladders, safety cages and more. Services include engineering and design services, millwright construction and maintenance, and metal fabrication. 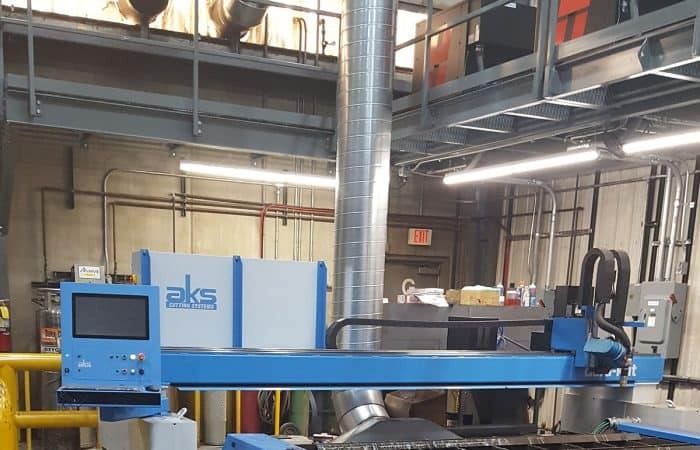 In 2017, with the recent purchase of an AKS Cutting Systems, Cleveland, OH, AKS dura-kut 10’ x 20’ with Hypertherm HPR800XD plasma power supply and AKS robo-kut 5-axis Bevel Head, through the help of AKS Cutting Systems Iowa dealer Greenway & Associates, Newell can now achieve best-in-class plasma cutting capability on all their mild carbon steel and stainless steel parts. 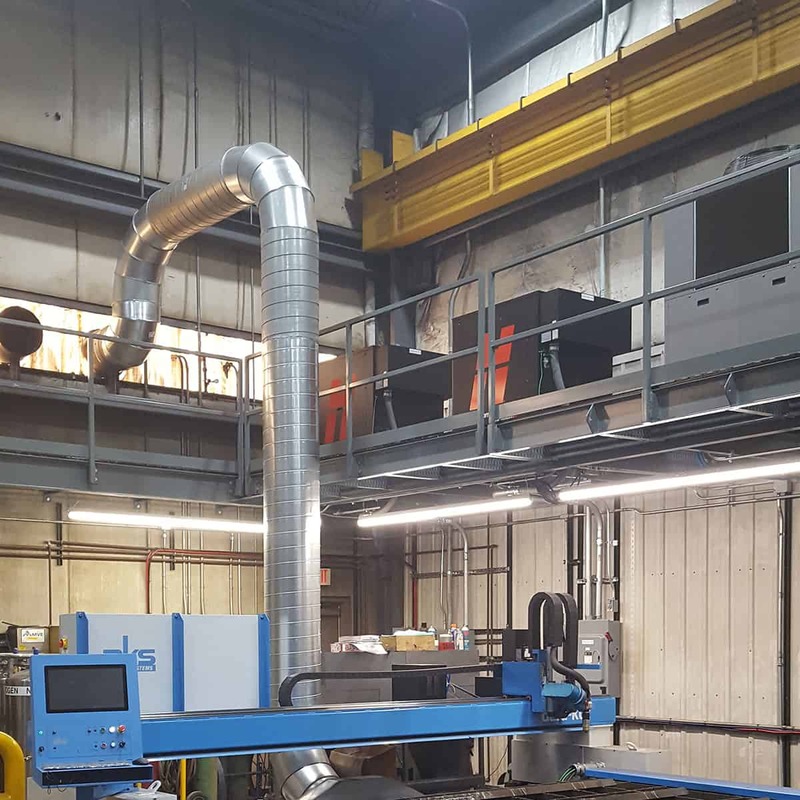 Through the application of the massive HPR800XD plasma unit, Newell can now plasma severance cut up to 3” carbon steel and up to 6” stainless steel and 6” aluminum. 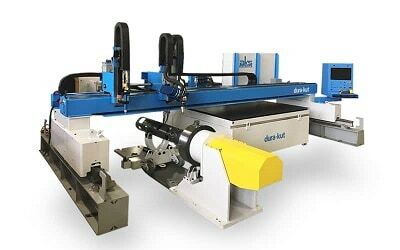 This new AKS dura-kut replaces an old plasma table with much less capacity for size and thickness. With the HPR-XD Hy-Definition arc cutting process, the edge quality finish of the plasma cut parts is far superior than the old technology. 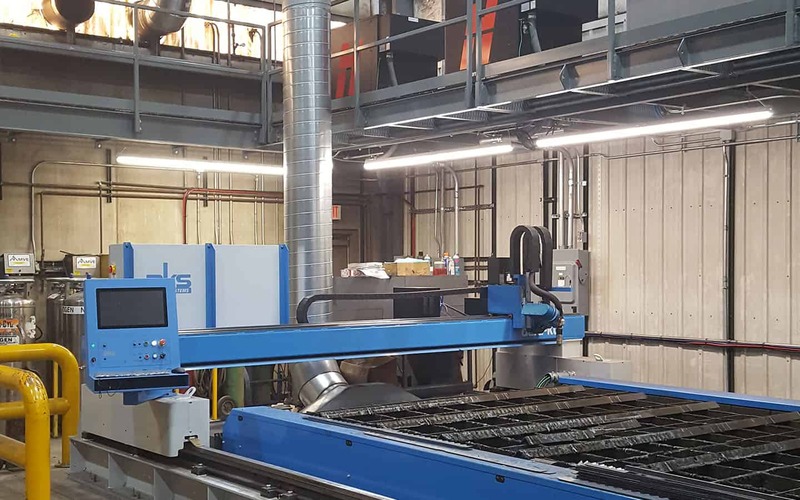 Each day, Newell cuts hundreds of different parts for the fabrication of their conveyor and elevator products. Although many parts are mild carbon steel, an increasing amount of parts are stainless steel for the grain and food transport applications. 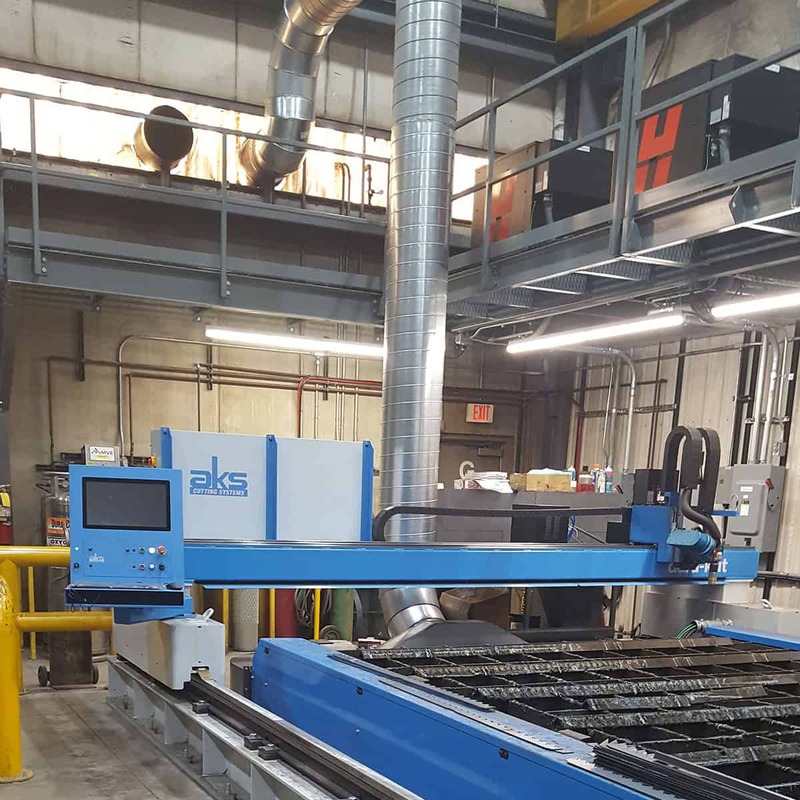 Most of the parts leave the AKS dura-kut plasma cutting system and go directly into paint applications with no secondary processes or treatment required. 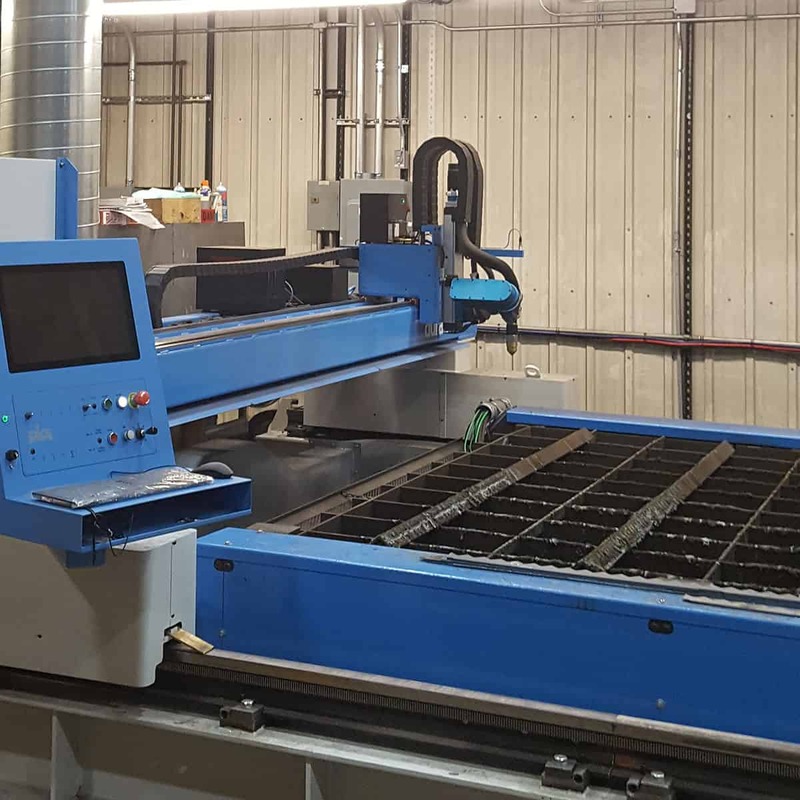 Complimenting their new AKS Cutting Systems dura-kut plasma cutting system is a 2014 Mitsubishi MC Machinery X4-612 waterjet cutting system with KMT Waterjet PRO 125hp 90,000 psi and TCS (Taper Control System). 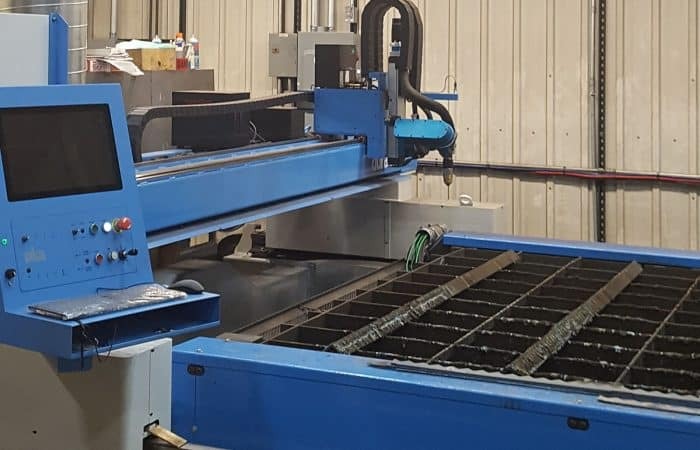 Newell uses the MC Machinery, Elk Grove, IL, X4-612 waterjet to cut a variety of materials including titanium, plastic, UHMW, Delran, Lexan, aluminum, and more. Through the KMT Waterjet PRO 125hp 90,000 psi pump, Newell can cut thicker and faster than any other waterjet system on the market. 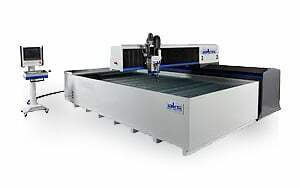 The 90,000 psi is the ultimate in waterjet cutting and offers the fastest cutting speeds without having to consume high abrasive rates. 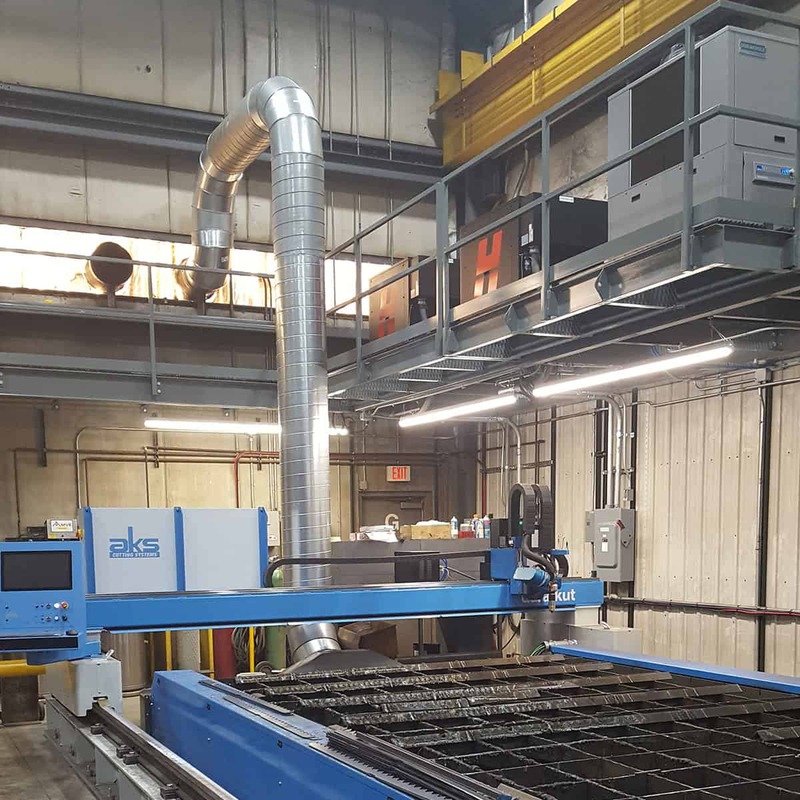 Since 2014, AKS Cutting Systems, Cleveland, OH, is the official and exclusive licensee of Mitsubishi waterjet technology. 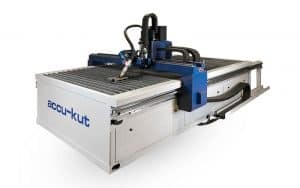 AKS designs and builds the water-kut X4, X3 and X2 models and integrates the KMT Waterjet high pressure components like the pump, plumbing and cutting heads. For more information, please visit akscutting.com, newellmachinery.com, and greenwayassoc.com.